How many of you feel comfortable talking about depression? Better yet, do you share your convictions when someone else is vulnerable about being depressed? Let me start off by stating that depression can be a severe struggle for parents raising special-needs children. Depression can be indescribable, grievous, and debilitating. It’s not easy to talk about! I know because I’ve struggled with depression for years. I have questioned whether life is worth living and have doubted all of life’s meaning in the darkness. If you are suffering, my heart breaks for you. I pray that God provides His mercy to you in abundance, particularly throughout this time of year. 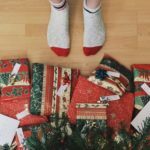 During the holidays, as many special-needs families encounter increased struggles, depression becomes an even greater possibility. 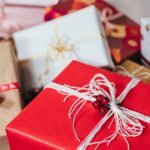 Even “normal” things, like buying presents and going to events—the regular unraveling of schedules—can be very discouraging throughout the season. When my son Jon was 6, his Christmas list included: a washing machine, fans of all shapes and sizes, a vacuum cleaner, and a waterfall in his room. Such are the highlights of holidays! It’s humorous to me now, but it wasn’t when he was 6 and I was longing to give him presents like the ones I imagined other parents giving their children. More than that, my wish to give him what no human ever could was only accentuated. So, I know what a struggle depression can be, especially around the holidays. I know and I want this season to be a great one for you. Here are some things I’ve done that have positively affected my attitude and perspective. 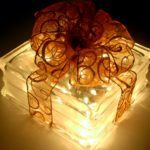 I encourage you to choose a few of these ideas to help you enjoy a delightful holiday season this year. Journal about your emotions and struggles with candid honesty. Emotions are necessary to your life . . . but so is having a healthy outlet for exploring and expressing them so that they don’t end up mastering your life and damaging your direction. Allow a few very trustworthy friends to know what you’re going through and support you. You aren’t alone, though it’s easy to feel like you are. Reach out and let people who love you help you. Reach out and help someone else. Organize a room in your house and clear away clutter. Offer usable items that you no longer need to a family who does. Reflect on the people in your life and actively give thanks for them. Write a note to those whom you respect, listing the wisdom you gleaned from your time with them. Place your full name and birthday on page one. Pursue what Scripture says about your value, your life, and God’s love for you. Write what you discover on the opening pages. Include a page titled “Promises.” List some promises from God to all people. Write down ways you have already seen these promises fulfilled in your life. Include a page titled “Passages.” List significant seasons of your life and passages of Scripture that have helped you through these times. Add a page titled “Strength.” Identify the ways God has strengthened you through struggles and how your character has developed as you’ve persevered. Include Scriptures about being transformed into the likeness of Christ. Near the end, make a “Worship” page. Praise and honor the Lord who has kept His hand upon you. Types of worship can be songs, friends, nature, Scripture, even a child’s smile. I pray these ideas will help guard your heart against depression this year and help you experience the peace and presence of Immanuel, God with us, in this and every season.